WILLEMSTAD - Last Friday, the Curacao Civil Aviation Authority (CCAA) provided feedback to the management of InselAir of the inspections carried out by CBA at InselAir during the past two weeks. The inspection was carried out by and under the responsibility of the CCAA in cooperation with the colleagues from the Human Environment and Transport Inspectorate (Netherlands). InselAir remains under supervision of CCAA for the time being. 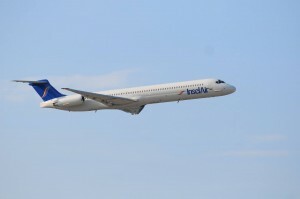 In connection with the failure of one of the aircraft and the simultaneous planned inspection of the other aircraft, the flight schedule of InselAir has experienced serious disruptions in the past few days. These have been solved as far as possible with the help of other companies. As of last weekend, the device released after inspection (KVN) is operational again and flights to and from Aruba and Bonaire are still being carried out. Saturday's flight schedule were adjusted in connection with planned maintenance work. Passengers were informed about adapted departure times.